GPSC RECRUITMENT 2018 FOR 294 CLASS 1/2 POSTS. POST NAME : Class 1/2 Various Posts. Dear Students.. 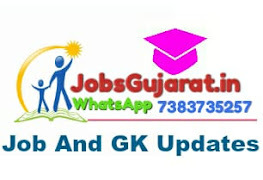 In Our Site we are daily Updated Latest Gujarat & India Level All Types Government JOBS like GPSC class 1-2, PSI, Talati, Police Constable, Jr. clerk, TET/TAT/HTAT, Banks, Engineering Jobs and Other various Jobs Latest Information and all Details Likes Exams Syllabus, Exam Old Papers, Answer Key, Result..